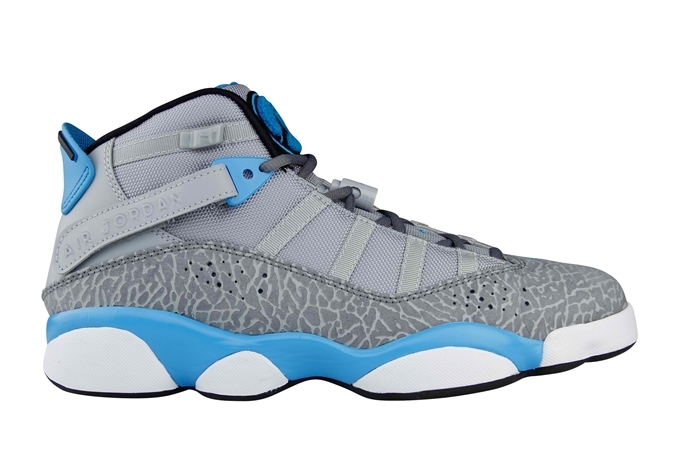 Another colorway of the Jordan 6 Rings has been released and is now making waves on the sneaker market. Now available is the Wolf Grey/Cool Grey-Dark Powder Blue colorway of the shoe model that was made to commemorate the six championships of Michael Jordan during his storied basketball career. The shoe sports a grey-based upper part accented with powder blue hints on the tongue and midsole of the shoe. This shoe is now available in select Jordan Brand retailers worldwide for $160 per pair.